For the second season in a row, the University of Southern Alabama has proven to be No. 19 San Diego State Football’s kryptonite, after the Aztecs were defeated by the Jaguars 42-24. 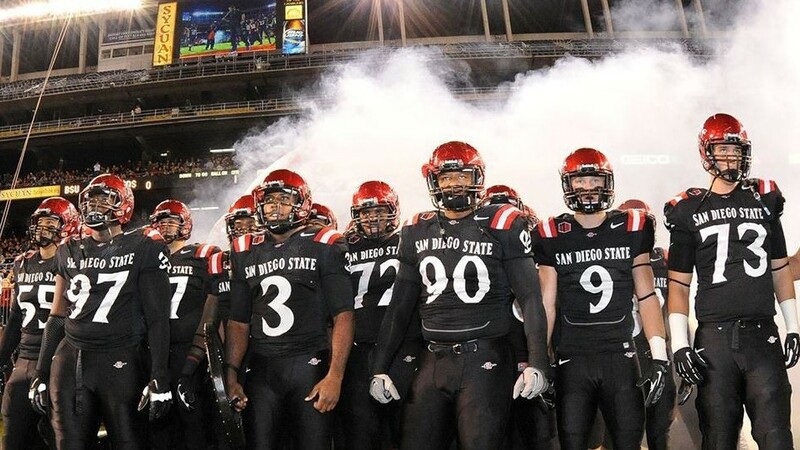 Both teams traded scores throughout the first two quarters, and by halftime SDSU held a narrow 16-14 lead, courtesy of a touchdown apiece from running backs Rashad Penny and Donnel Pumphrey, punctuated by a John Baron II field goal just before time ran out. It was Penny’s fifth touchdown of the year, while Pumphrey scored his eighth en route to moving from 29th to 20th in career FBS rushing yards with 151-yard performance. SDSU led at the end of the third quarter 24-21, but it would be the last time they led after USA 21 unanswered points in the fourth. It was the first loss of sophomore quarterback Christian Chapman’s collegiate career. The Jaguars notably beat the Aztecs last year at Qualcomm Stadium in overtime. It was the second to last loss they suffered last season before embarking on their 13 game win streak. It’s SDSU’s first loss of the season and brings their record to 3-1.